El Cuervo is located in a 80 meters square ground floor in Poeta Miguel Hernandez 23 Street, in the city of Cartagena. The point was to transform this existing space, a small place without character, into a special jazz bar. A place of small dimensions and a tight budget, the name of the bar, the musical genre, the design of the logotype by Angel Charris or the hand-painted tableware by Gonzalo Sicre, were the strenghts that invite us to bet everything on black, to get a place full of character where different materials and textures are unified under the same color. 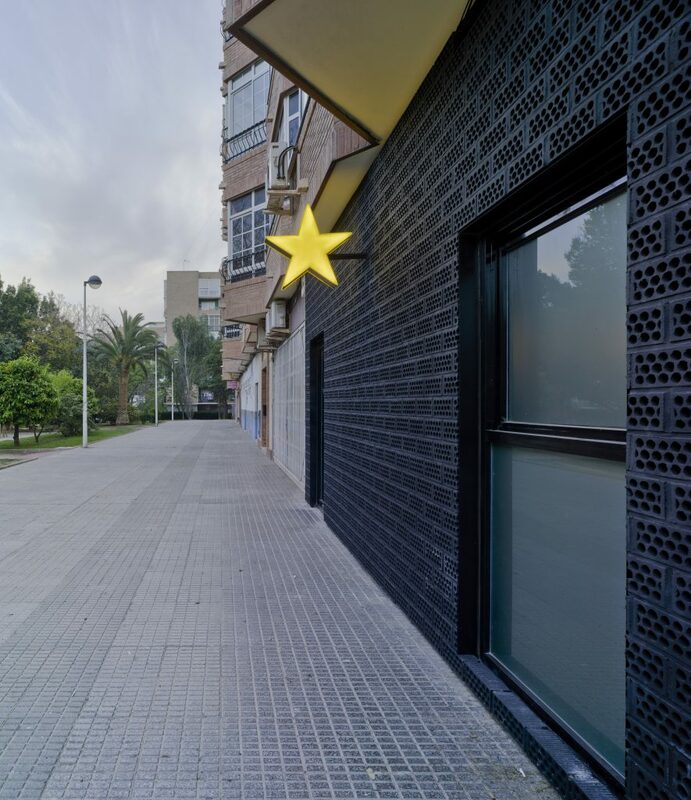 On the outside, a bright yellow star trimmed on a black background invites you to approach it and enter inside the bar. 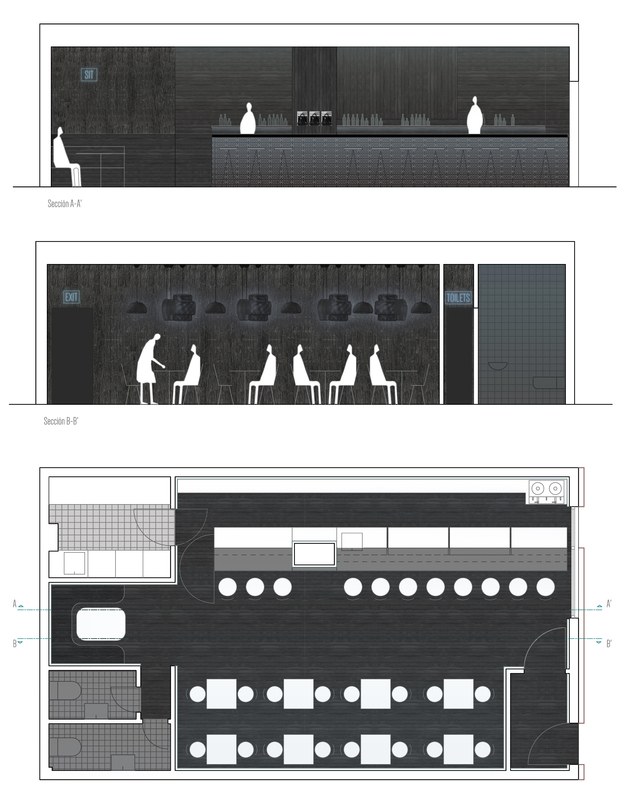 The bar is opened to the street through a black perforated facade of ceramic brick which, on the existing facade, contrasts in color and texture with building where it is placed. El Cuervo is organized simply and clearly with a longitudinal bar counter with a line of fine stools separating service, office and storage area from the most public space for clients with tables and seats. The black color is not homogeneous, presenting contrasts in shades and textures according to the lighting levels. So, light is treated specially, combining both natural daylight and artificial light and filtering them carefully to ensure optimal levels of diffuse lighting. Moreover, the bar is illuminated below the shelves to present the drinks and gives different gradient of shades to the walls and furnitures. 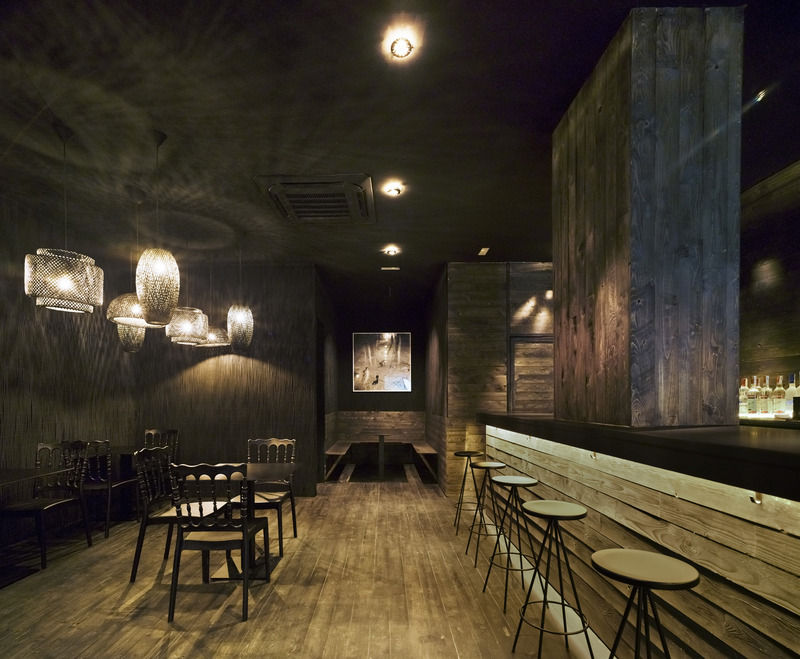 Finally, the bar area for clients receives a special treatment with hanging wicker lamps and a garden hurdles fence covering the wall, as if it were a bird’s nest, alluding again to the name of the place. 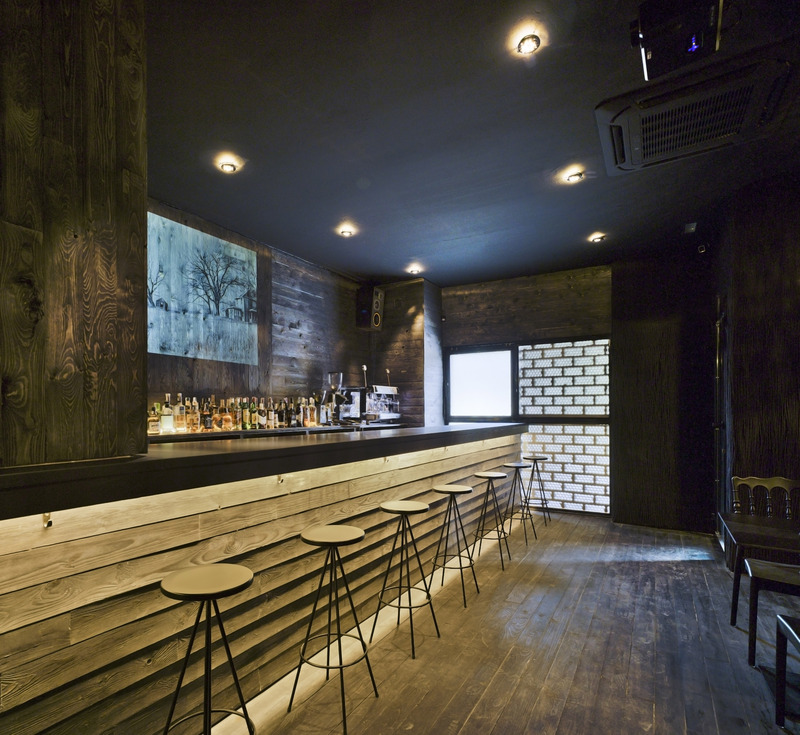 Thus, the combination of materials, the filtered lighting carefully, the color black with its different shades and hues, the projections of films and the characteristic jazz and blues music, create a welcoming atmosphere making the darkness, something comfortable in this cozy bar of Cartagena.